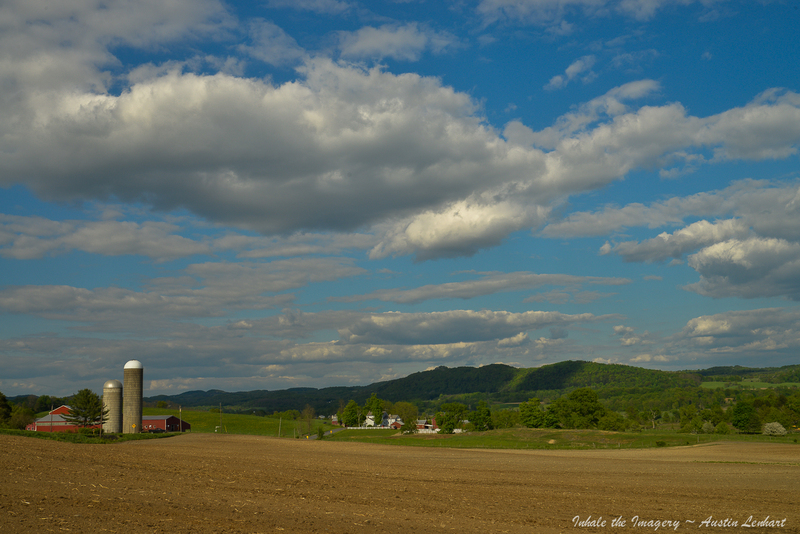 This day I was trecking the backroads of Upstate New York; meandering towards the Allegheny Mtns. In doing so I drove across many farm lands, some with the family cemetery plots seen in the distance and well cared for… It is nice to see family farms still around or at the least, corporate-owned farms that respect the Farm’s heritage…. I always hope for the aforementioned… It stirs the imagination of a simpler time.